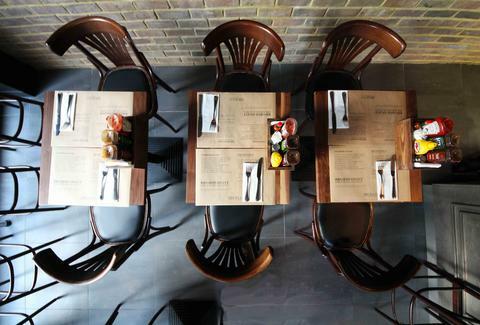 This Beirut-born beef-ery lives inside a cosy Soho space handsomely bedecked with bare brick walls & slate floors. 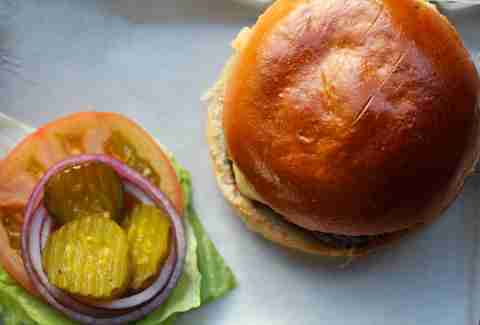 Patties are formed in-house out of beef-cuts taken from the Duke of Buccleuch's Scotland estate. Opt for the double-sized Masterpiece, and supplement it with Parmesan truffle fries, 'dogs, and a "sloppy joe", which is a loose mince sandwich, rather than what Liverpool supporters will soon call Mr Cole. 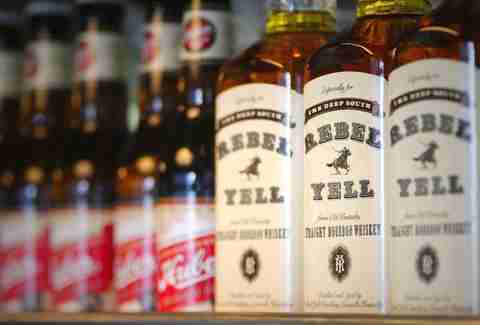 Whet your whistle with a Huber American lager, homebrewed "boozy iced tea", or Rebel Yell bourbon, which they kindly request you order at a normal volume.